Luggage Tag Patriotic Punisher | BUDK.com - Knives & Swords At The Lowest Prices! 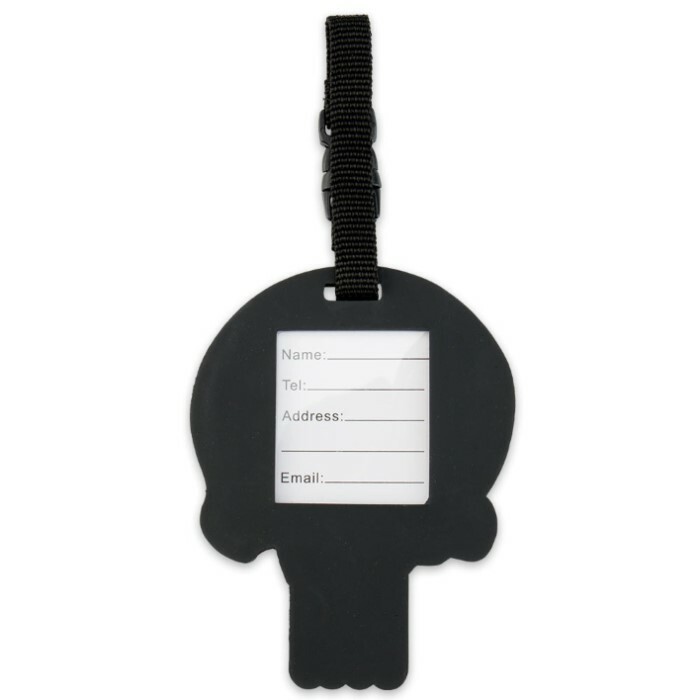 When you think about a luggage tag, it’s just something you put on your suitcase so that, if it gets lost, your name and address is on it. They’re not very exciting. This 3” luggage tag, however, is the complete opposite of bland. It gives you a chance to personalize your luggage and make a statement, as well. Made from a durable PVC plastic construction that is tough and bendable, it can withstand any journey you put it through. 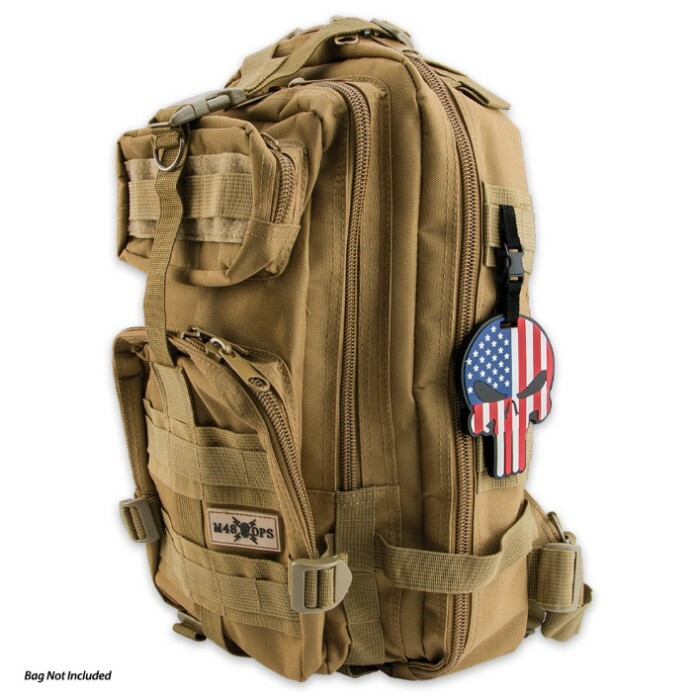 A heavy-duty strap with a heavy quick release buckle lets you attach it with ease.